Add the sugar and eggs to a medium sized mixing bowl. Using an electric or hand beater, beat castor sugar and eggs until light and fluffy. Add apricot jam and beat well. Sift dry ingredients 3 times in a separate bowl. Melt butter and add to vinegar and milk in a third bowl. Fold dry ingredients and milk mixture alternatively into egg mixtures. Once fully combined, pour mixture into a greased oven proof casserole/pyrex dish. During the last 15 minutes of baking, melt all the sauce ingredients in a small pot over medium heat. Do not boil. Pour this sauce over the cake as soon as it’s removed from the oven, use a fork to aid absorption. Serve hot with ice cream or custard. Substitute regular flour for gluten free flour. Everyone loves cheese cake. My family like a creamy cheese cake. I am always asked to make my cheese cake for family and friends and there is never a drop left. 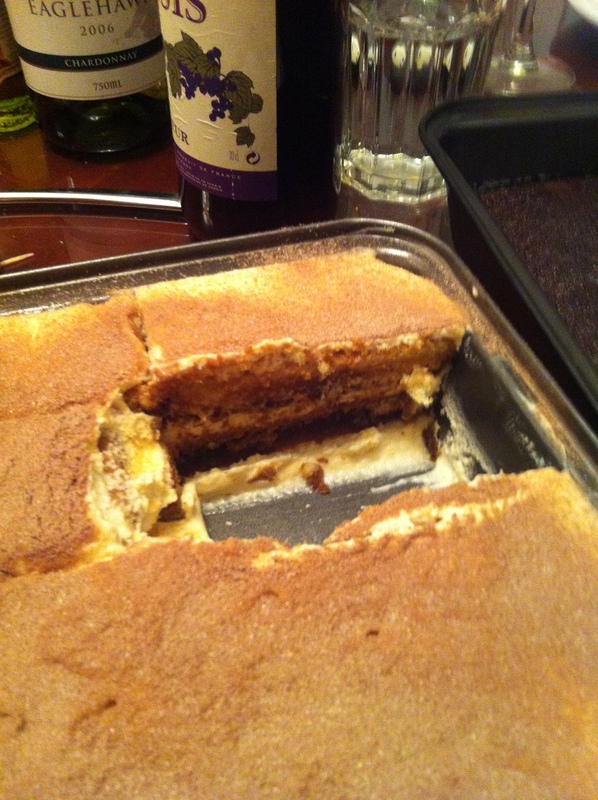 The recipe is easy to make bigger as you can increase the size of the cake by a third or more. Place biscuits/crackers in a food processor and blitz till fine crumbs. Cut butter/margarine into cubes and drop into the feed tube till well combined with the crumbs. Grease a 30 X 20 cm pie plate and press the crumbs into the plate bringing the crumbs halfway up the sides. Place in oven and bake for 10 minutes. Remove from oven. Place the rest of the ingredients into a mixing bowl and beat till smooth. Pour over the baked crumbs and return to oven for 35 minutes. Switch oven off and leave cheese cake in the oven for a further 30 minutes. Remove and leave to cool. Refrigerate until ready to serve. Remove from the fridge 2 hrs before serving. 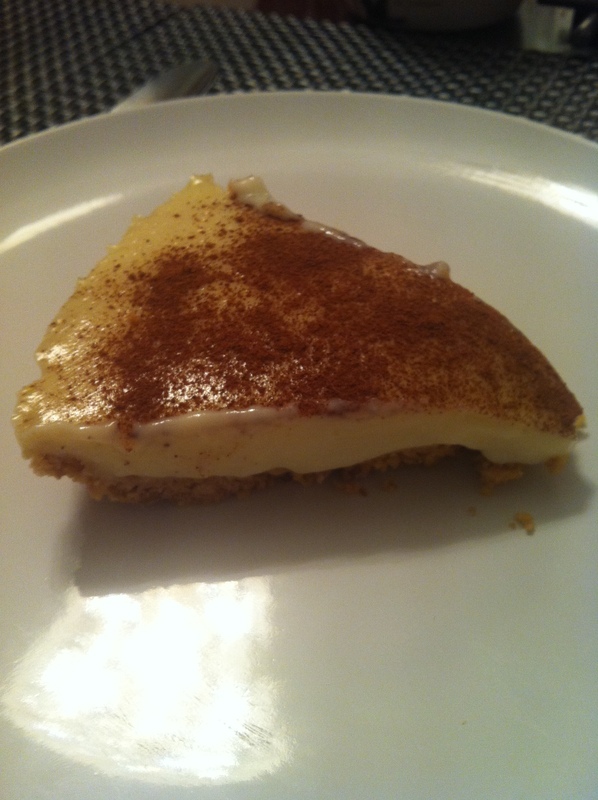 Melktert is a South African custard tart. It does not require any baking. 4 tbls butter or margarine. 1. Crush the biscuits/crackers till powdery. 2. Add the melted butter/marg and mix well. 3. Press the mixture into the bottom and up the sides of a large pyrex rectangular dish until the entire dish is coated with an even layer. 1. Pour the milk and sugar in a saucepan and bring to the boil. 2. Mix the eggs, flour, cornflour & vanilla together in a separate mixing bowl. 3. Remove the boiling milk from the heat and slowly add to the egg mixture stirring all the time. 4. Return the mixture to the saucepan and put it back on the heat, stir until the mixture thickens to a thick custard (coats the back of the spoon). 5. Add the butter/margarine and beat in. 6. Pour into the biscuit/cracker shell. 7. Sprinkle with cinnamon to coat the surface. 8. Allow to cool and refrigerate before serving. 9. Remove from the fridge 10 minutes before serving. 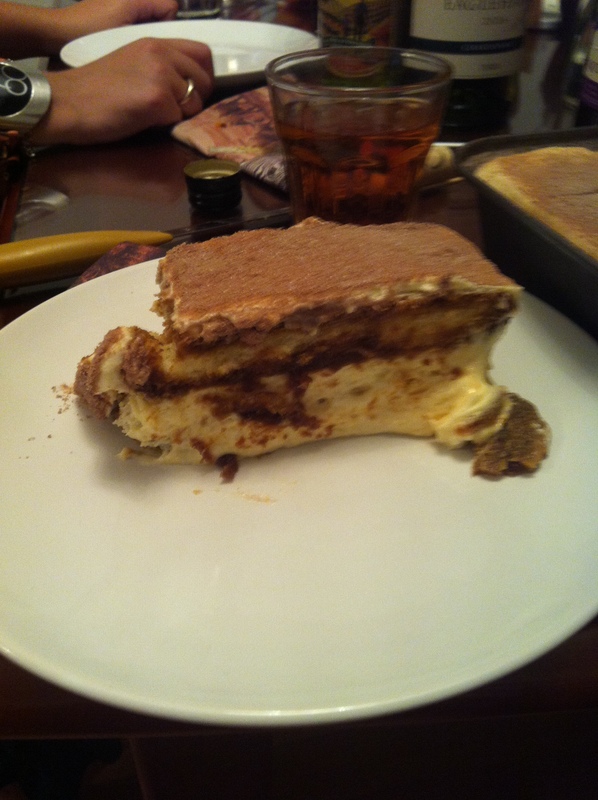 Tiramisu is a traditional Italian dessert. We were recently in Italy, this was served at almost every restaurant we visited. The rich, creamy cheese mixture is perfectly complimented by the sharp sweet coffee coated Lady fingers. It’s light, smooth and creamy – perfect with an short strong espresso. 1. Separate eggs into two medium sized bowls. 2. For the egg yolks, add the castor sugar and beat until the mixture is thick and light. 3. Add marscapone cheese to yolk mixture and beat until the mixture gets thick. 4. For the egg whites, whip until egg whites are thick. 5. pour the cream into a medium sized bowl and Whip the cream until thick. 6. Fold the cheese mixture gently into cream mixture. 7. Gently fold stiff egg whites into cheese mixture. 8. Make coffee mixture and pour into a shallow container. 9. Layer one third of the mixture in a large glass dish. 10. Dip lady fingers quickly into the coffee and layer over the cheese mixture making sure they fully cover the mixture. 11. Add next third layer and then another layer of dipped biscuits. 12. Place the last third of the mixture on top. 13. Smooth, cover and place in fridge. This recipe is best made 3 days before serving and kept in the fridge so the flavours can all blend together. It can also be frozen and served as an ice-cream. If I am making this into ice-cream, I then use tennis biscuits (you can substitute graham crackers if you cannot get tennis biscuits) and between each layer grate some dark chocolate. Use a large loaf tin and line it with clingwrap so once it is frozen the clingwrap can help to lift the ice-cream out. Place the ice cream on a platter dish, remove clingwrap and cover with grated chocolate. Make a slight slit (about 1/2cm or 1/4 inch) around the circumference of the apple (this allows the apple to swell while it bakes and makes it easier to eat once cooked). Next core the apples but don’t go all the way through, only about 3/4 deep. 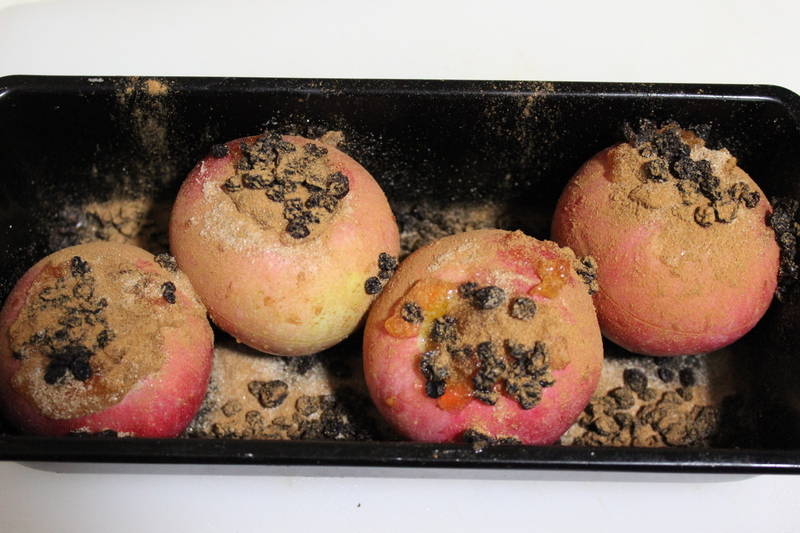 Place the apples in a baking dish and fill the hollowed out space with the apricot jam. Sprinkle with raisins, half the sugar and cinnamon. 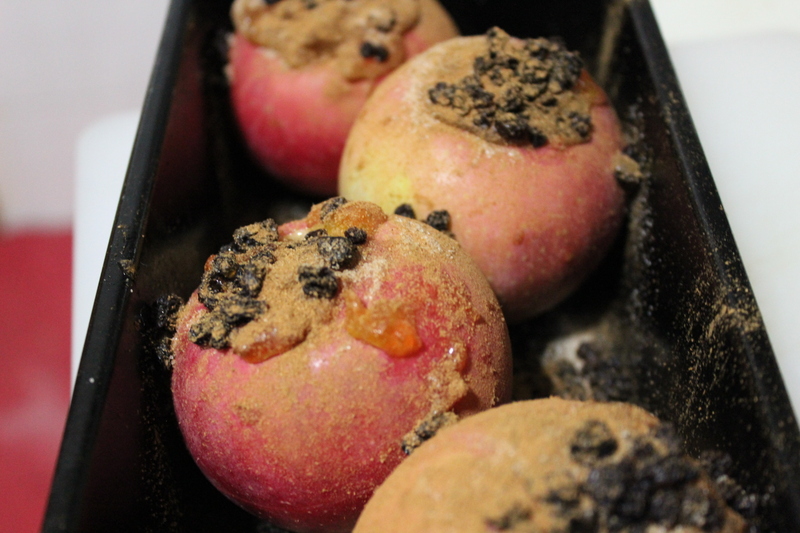 Add water and remaining sugar to the baking pan, as the apples cook this will mix with the other ingredients and create a beautiful spiced syrup to serve over the apples. Bake for 45 mins or until golden and soft. Delicious served warm with Vanilla Custard or Ice Cream.